[Infographic] 2019 INVESTMENT PRIORITIES: CX professionals' Top Challenges Revealed! Based on in-depth research with customer experience decision makers from top European brands within the Telecoms space, we have discovered where these executives are looking to invest over the next 12 months. 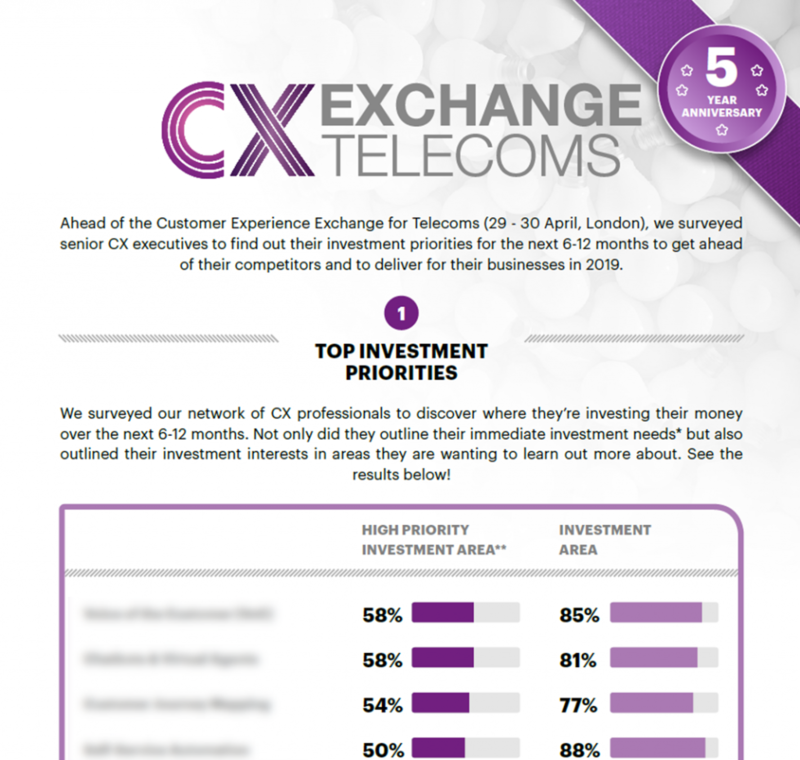 We have created the Customer Experience in Telecoms Investment Priorities 2019 infographic for you ahead of the Customer Experience Exchange for Telecoms (29 - 30 April, Hilton Syon Park).